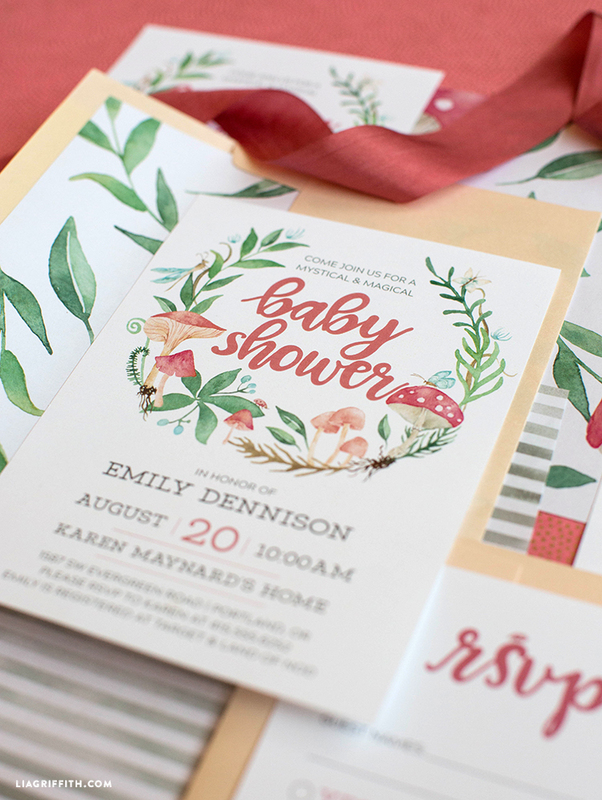 We’re enchanted by this fairy garden party invitation suite. 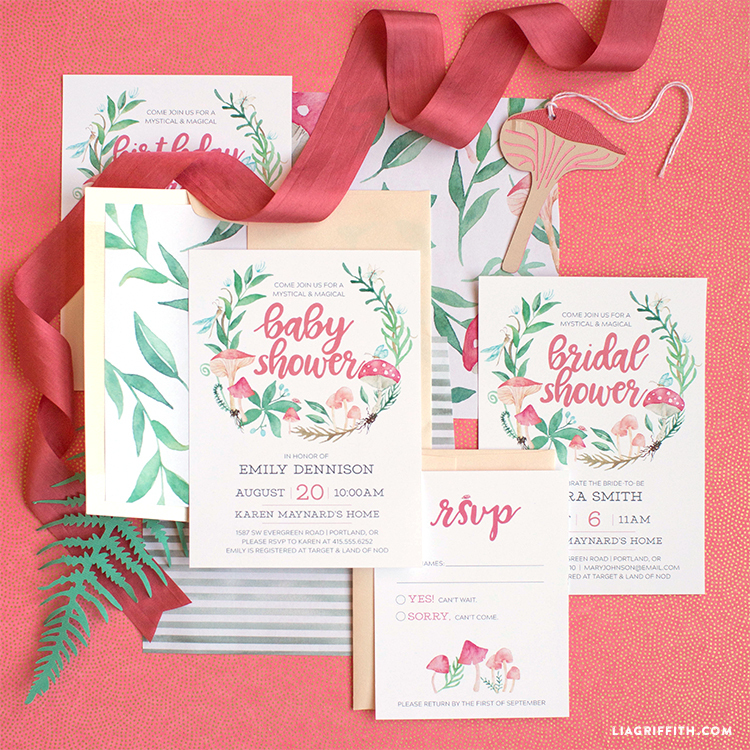 Featuring artwork by in-house illustrator Laurel Autumn Cabrera, these invites are sure to turn any gathering into a whimsical wonderland. We’ve made it easy for you to create these in the comfort of your own home – simply download our PDFs and print onto a cardstock of your choosing. 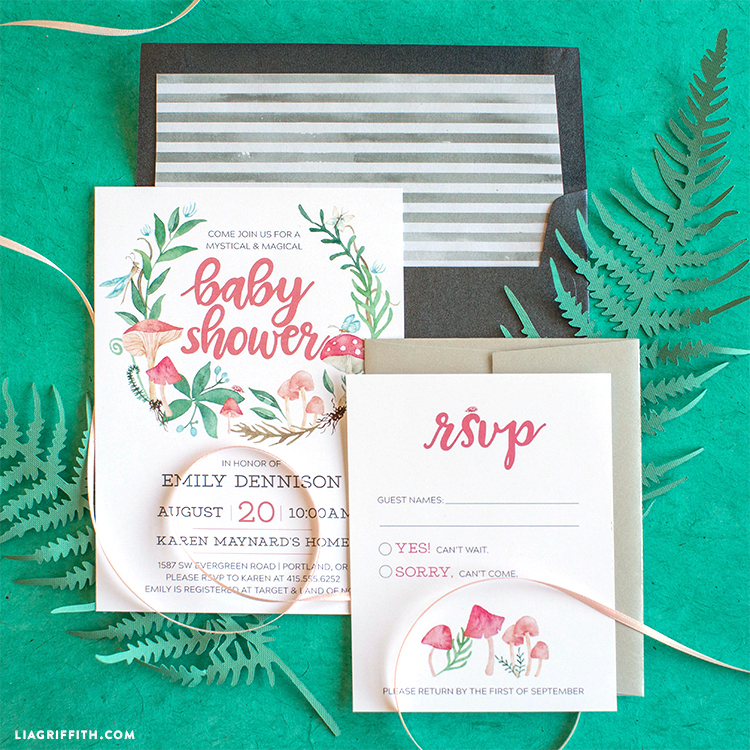 Your guests will marvel at these magical invites and will be eager to check “yes!” on your RSVP note cards. 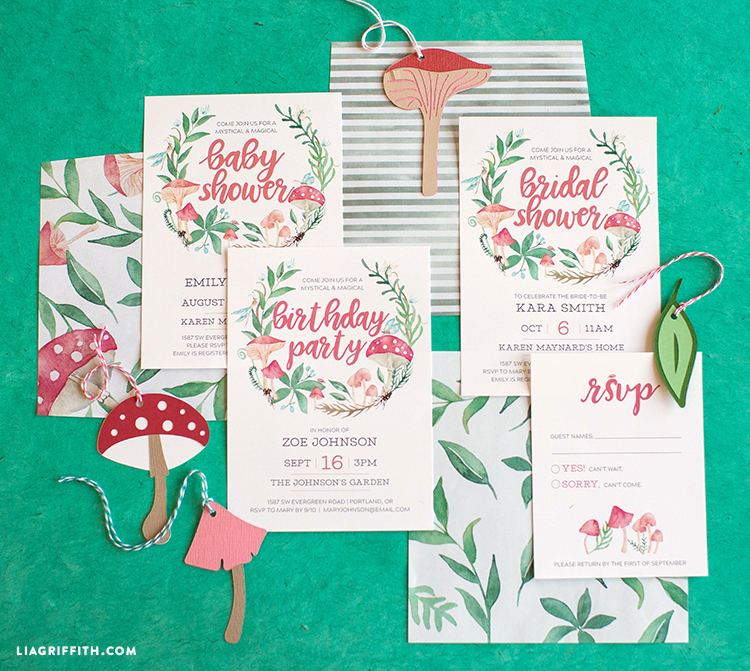 For our fonts, we used Acherus Grotesque and Waffle Slab; however, feel free to play around with other font combinations to customize your fairy garden party invites. Make your own magic happen today!